This is the third in a series of summer conference updates! Unlike their historical and pragmatic counterparts, LEL’s phoneticians did not get to travel abroad, though they would have had to if Glasgow’s own inhabitants had had their way in the referendum last year. 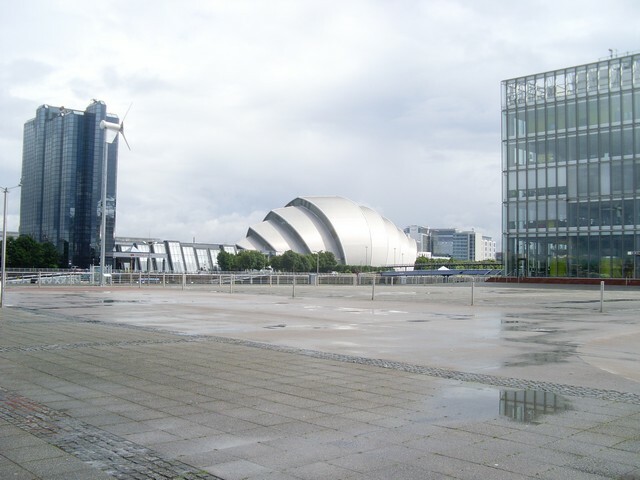 PhD student Michaela Hejná & MA student Jane Scanlon visited Glasgow for the 18th International Congress of Phonetic Sciences, delivering a joint paper on pre-aspiration and glottalisation in Manchester English. There were also papers by PhD alumnae Danielle Turton and Patrycja Strycharczuk. Featured image: part of the conference venue, by Stephen Sweeney (from Wikimedia Commons, CC BY-SA 2.0).